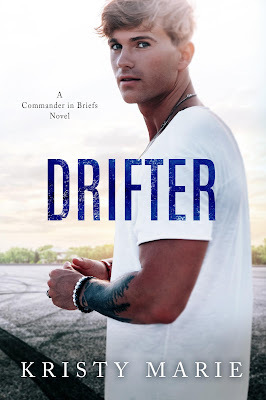 When I read the blurb for Drifter, I couldn’t wait to add it to my TBR. Having recently read Commander in Briefs, I’m even more excited for Hayes’ story. This will be my first read by this author. I am curious to see how she deals with a modern, adult version of this classic story. Blood and Chaos had me on the edge of my seat! Clutching my chest, my eyes flew across the pages as fast as they could, and S.M. Soto ripped my heart to shreds in the best way an author can!! An ABSOLUTE MUST READ! The ending of Deception and Chaos left me with my heart in my mouth. I’m almost too scared to read Blood and Chaos, but I desperately need to know what happens next! Staci Hart has written one of my favorite series of hers. Not only is it well written, but I also love the romances and the heroes. Most of all, though, I love the heroines. They are my FAVORITE HEROINES OF HERS EVER! Readers can see themselves in them. We root for them. We grow with them. I’m excited to see what this heroine is going to bring to the table. So many good books coming! I ordered the paperback of Blood and Chaos, and can’t wait to see it with the copy of Deception and Chaos that I was fortunate enough to win in one of the author’s giveaways. Truly some of the most beautiful covers I’ve ever seen. Gina and Sataci’s book are the ones that interest me the most of this list. These books!!! I’m dying to read them allllll! !